Sleeps 5-6, Radar-Si-Tex, Garmin GPS, 697 Hours, New Elec.Head,Stove, Fridge AC/DC, Camper Top and Cockpit Canvis. Great Boat, V-Birth and Aft Cabin. 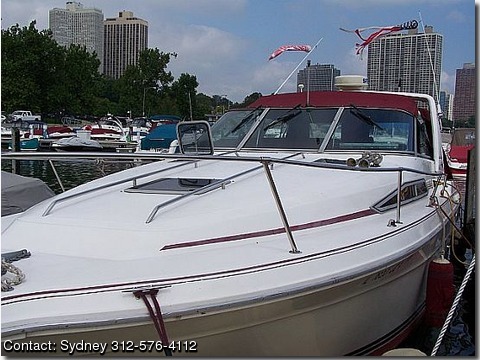 Sleeps 5-6, Moored in Diversy Harbor, Chicago.